Religion in many parts of the world, in both politics and personal life, for good or ill, is now exerting a greater influence than at any time in living memory. There is now not merely a cultural-religious confrontation between a worldwide Islam and what it sees as an affluent agnostic West, but the worrying rise of Christian fundamentalism in the most powerful nation on earth. And the latter has its distinctive political agenda. Part of this agenda entails a biased approach to the Israeli-Palestinian issue, but the most significant aspect of all religiously-inspired politics is self-righteousness, and the explosive mix which this creates. These are situations which could never have been anticipated a generation ago when it was assumed that secularism had displaced the beliefs of the past as any longer of political significance. 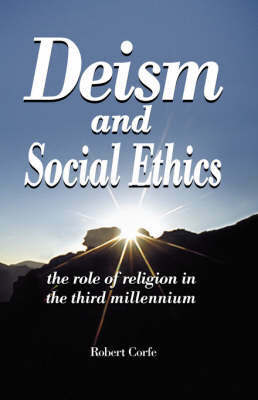 The attitude of many thinking people, in Europe and elsewhere, is to regard religion with askance whilst looking towards the growth of a greater secularism in resolving difficult issues. But such an approach is not an option. Religion is a natural component of human nature and is unlikely to be eradicated through modernism. Nonetheless, it is necessary to distinguish between the benign and malign aspects of religion and those of the different churches. Through surveying the traditions of the major religions in today's world it is shown that those based on revelation too often tend towards a tenacity of belief which leads to irrationalism and then, in turn, to fanaticism. When this mutates into political power it creates a dangerous cocktail which may affect us all, as we have seen with 9/11, and later with the bombings in London, Madrid, Bali, and elsewhere. Such threats can only be met by reverting to the language of those who claim the authority of God. And that means confronting religion with religion. But such a challenge needs to come from an over-arching religion without falsehood, or from the rational belief system of deism which seeks to unify all those of goodwill under the umbrella of an ethical religious consciousness. This book therefore presents a vision for a regenerated deism for the 21st century in helping resolve the most difficult conflicts of our time. The futility of political confrontation, through a dualistic view of the world, must be met by a new moral order amongst majorities everywhere in bringing greater peace and security to our planet.